Gorillaz’ new album The Now Now puts the focus back on them. “I suppose from the last record I kind of forgot to include myself—it wasn’t intentional, I think we just got so carried away with collaborating,” Damon Albarn recently told Beats 1. “But I suppose this is sort of like a ‘reset record. '” Almost every track on last year’s Humanz featured a guest artist, but The Now Now cuts down to just Snoop Dogg, jazz guitarist George Benson, and house music icon Jamie Principle, with production help from James Ford (Arctic Monkeys, Depeche Mode) and Remi Kabaka. Beginning with the many singles—“Humility,” “Lake Zurich” “Sorcererz,” “Fire Flies” and “Hollywood”—The Now Now is bouncier than its predecessor, while still retaining Gorillaz’ characteristic moody vibe. 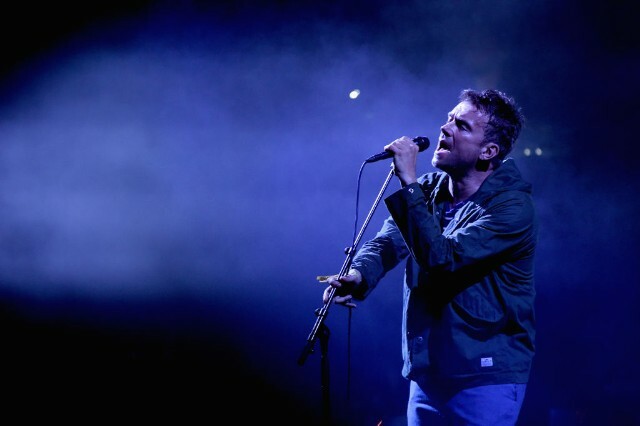 “I’m trying to be quite up, which is quite hard for me to be sort of optimistic, but I think I’ve managed it on this record,” Albarn revealed in the same interview. Gorillaz are currently on tour in Europe and will land in the States this fall, leading up to their curated Demon Dayz Festival in October. This year’s festival features Erykah Badu, DRAM, and The Internet; check out the full lineup and the rest of Gorillaz’ tour dates on their website while you stream The Now Now below.